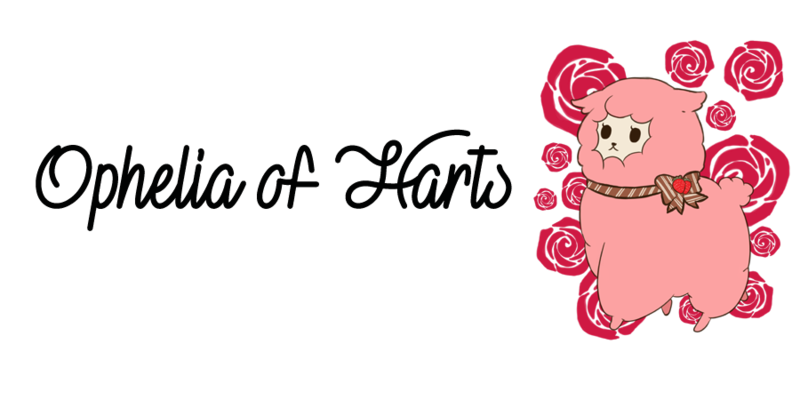 Ophelia of Harts: Gyaru Haul: La Pafait, Dia and more! Gyaru Haul: La Pafait, Dia and more! What’s up Guys and Gals? Sorry for the radio silence!!! We both kind of got sucked into life a little and trying to focus on other things but here’s a haul that has been waiting to be shown for a long while. We actually have been building it since the start of 2015! Most of it was for our birthday which was in February but some was after. But anyway let’s get on to the goodies! Oh and this haul contains brands and off brands and make sure to read our tips at the bottom of the post for the perfect Gyaru haul. Even though it is getting warmer these furry knit items are still great for spring, especially for colder countries. The black knit pom pom headband is from Glad News and the furry snood is offbrand. Now these beauties are perfect for spring and summer. The top two vests are off brand and the bottom is Dream V. I love all the lace detailing on the Dream V piece. Ahh Gold’s Infinity we do love you! This is a cold shoulder cardigan with a hood. Great for finishing an outfit off or when there’s a cool breeze. And finishing off our haul and possibly our favourite pieces are our DIA belts and bag. The bag was the bag used for the Lucky packs this year. It is super useful! So big and roomy. Then we have our two belts. We thought that the belts would be pretty heavy with all the metal work and chains they have but they’re surprisingly light! These were our dream buys too. 1. First of all research want you want first! This will help you keep the price down and stop you from buying too many similar things. 2. You can find perfectly gal items on the high-street. This is where your research comes to play. It may take a little bit more work but it’s worth it if your a gal on a budget! 3. Two words. Colour coordination, make sure the items you buy go with your wardrobe. Or you’ll find yourself having to buy more items to go with it or selling it on. 4. Facebook groups! There are loads of gals wanting to sell off pieces of there wardrobes to other gyaru’s. These groups can be great for finding that rare item, getting the latest buys or rather getting some old school pieces and all at a great price too! 5. DIY, sometimes it really is best just to do it yourself. It may be that you dream item is way to expensive, you just can’t find what you’ve envisioned or that you really just can’t find the item… ANYWHERE! So these are our five top tips for the perfect gyaru haul and our gyaru haul! We really hope you have enjoyed this post! The last tip was our special tip. We will be touching on DIY in our future posts as it is a great way to make something truly unique and yours! So what was your recent favourite buy? I haven't been clothes shopping in ages (I've been very ill), but the latest thing I've bought that I think will be my favorite is my Too Cool for School Multi Box. I picked it up from W2Beauty.com and it's wicked cool. I love the dotted top. It looks like it will be uber cute. How are you going to work that into a coord?